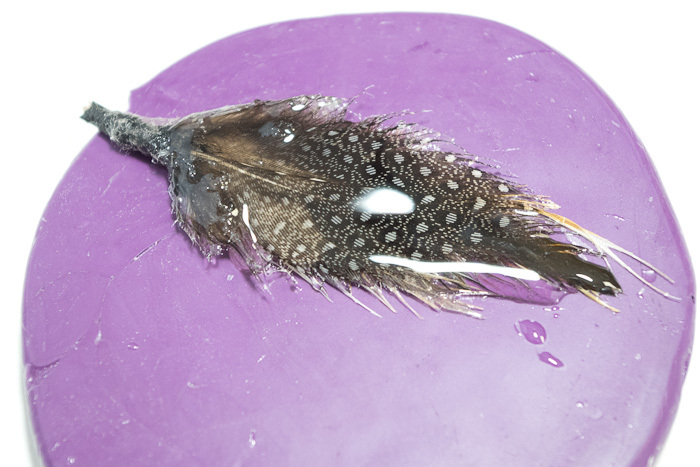 All year I have been experimenting with different ways to use resin, and recently I wondered if it would be possible to coat a feather in resin. 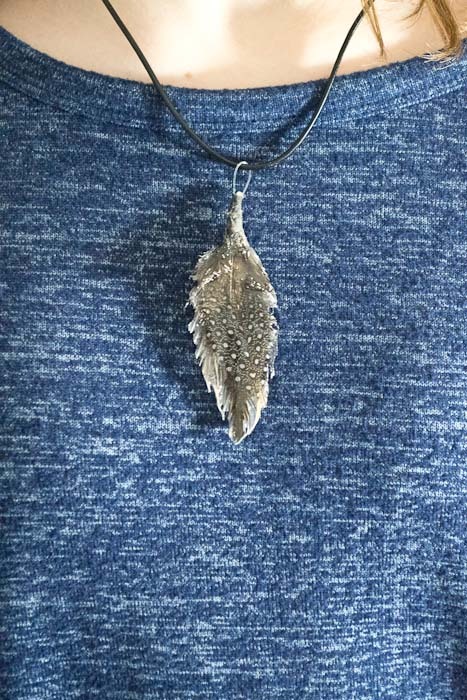 Today I am going to share with you how I made this Resin Coated Feather Necklace which turned out really neat! The possibilities with resin really are endless. 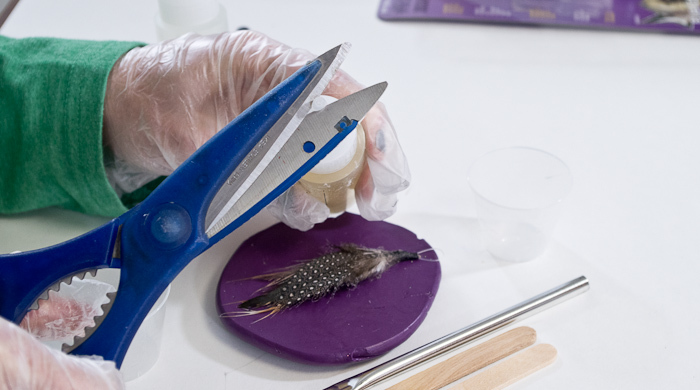 The first step is to spray the feather with Resin Spray. Remember to do this outside or somewhere that is well ventilated. I just did one good coat over the front and the back, then I laid it onto the back of one of my silicone molds I made in a previous post. This was the best non-stick surface that I had. Let the spray dry thoroughly. Trim feather edges if needed. 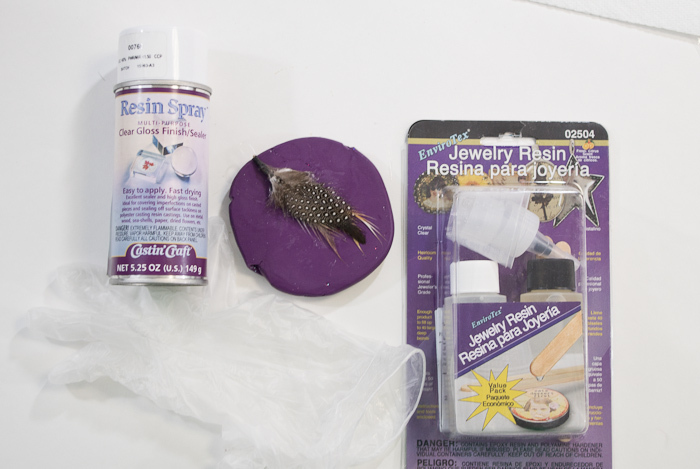 Now you’ll want to follow the instructions in your jewelry resin kit to mix the resin. 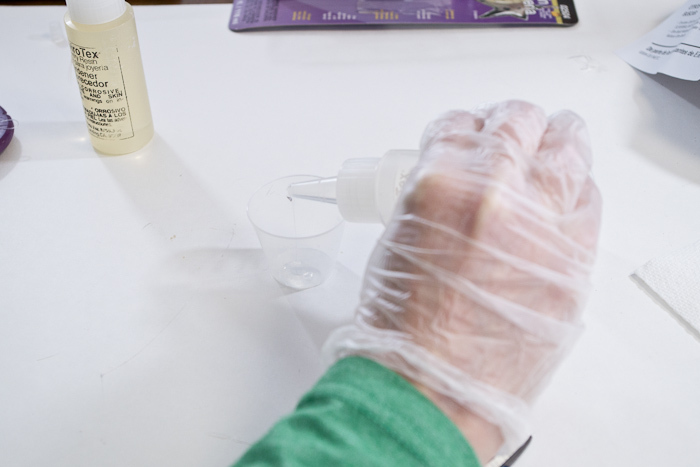 You’ll need to wear your latex gloves. Trim the tops of the jewelry resin bottles. 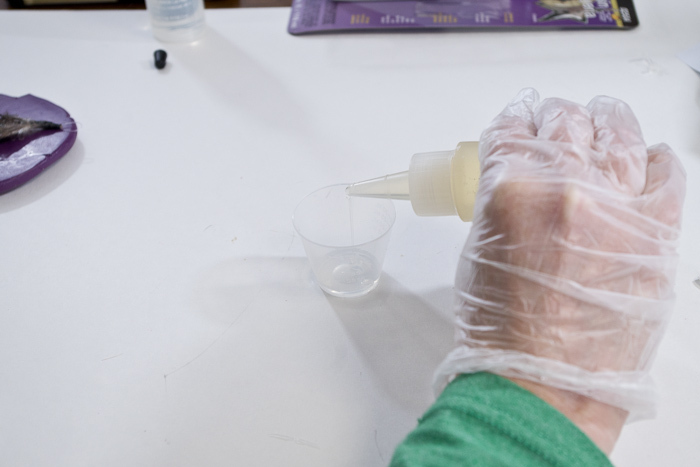 To mix the resin, you’ll pour equal amounts of part A and part B into one of the small cups that come in the kit. 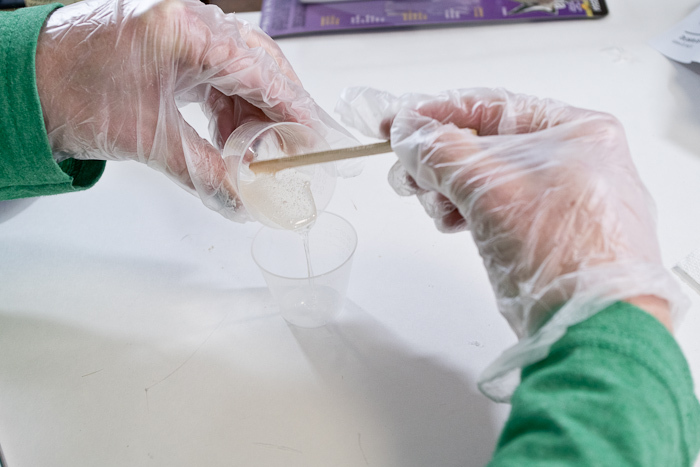 Mix thoroughly with the stir stick in the kit, then pour into the second cup and mix again. 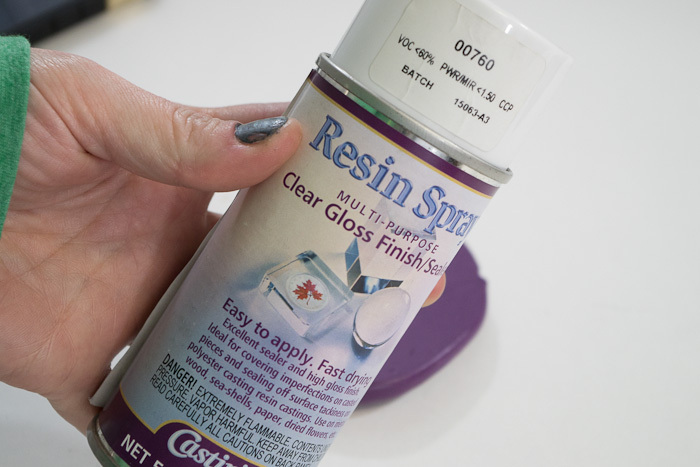 After that you’ll have only 25 minutes to work with the resin, so don’t just set it down and walk away. 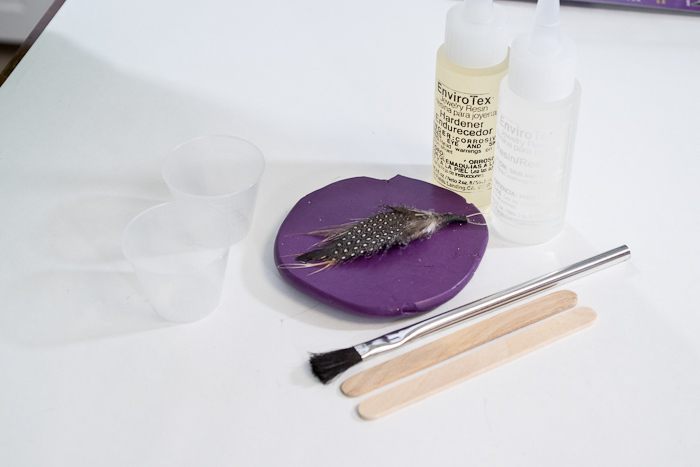 To apply the resin to the feather, I simply used a disposable brush and essentially painted it onto the feather. 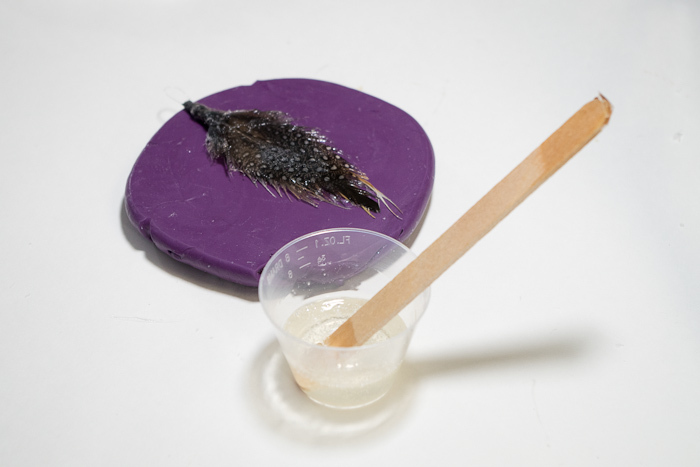 The feather was already fairly stiff from the resin spray, so this was easy to do. 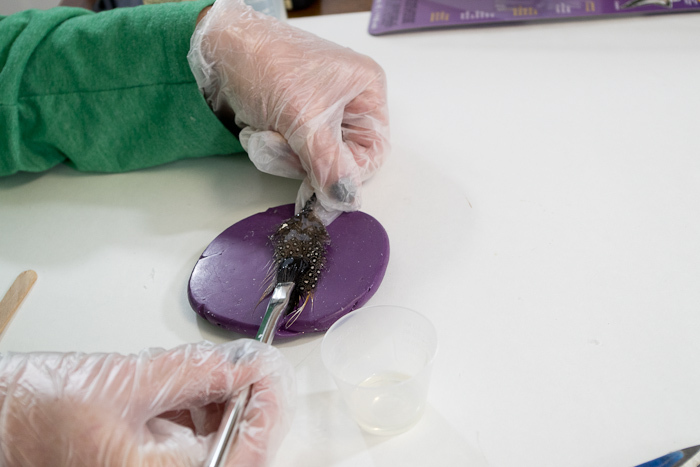 Again, I was working on top of a silicone surface so that any resin leaking off the feather would be easy to remove. I came back 24 hours later and this is how it looked! Pretty cool! But a little rough on the top. 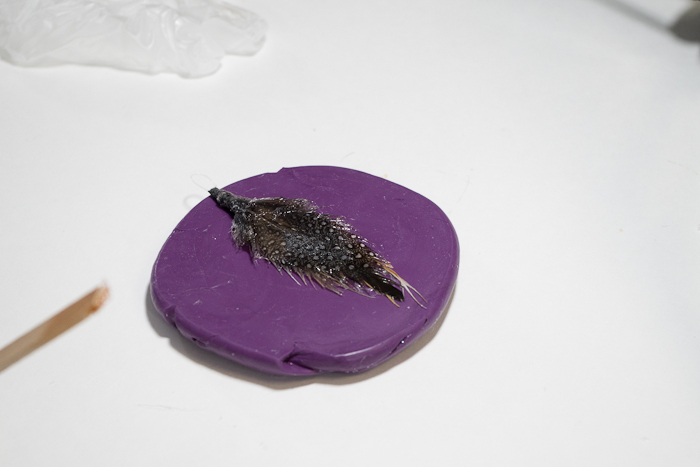 I actually wanted the feather to be glossy also, so I mixed and applied another coat of resin. I then waited 24 more hours for it to cure. Then trimmed any excess pieces that stuck out, and it was done! This is how it turned out! Totally glossy and a unique piece of feather jewelry. The cool thing is that the feather will never fall apart. Next time I want to try a fun, multicolored feather because I think it would look really neat! The feather I had purchased was actually made for jewelry making so it already had a loop on the top to add to a necklace chain.